The Asia Pacific University of Technology & Innovation (APU) is amongst Malaysia’s Premier Private Universities, and is where a unique fusion of technology, innovation and creativity works effectively towards preparing graduates for significant roles in business and society globally. APU has earned an enviable reputation as an award-winning University through its achievements in winning a host of prestigious awards at national and international levels, as well as an excellent track record in producing highly employable graduates who are able to immediately contribute to industry upon graduation. Originally established as the Asia Pacific Institute of Information Technology (APIIT) in 1993 and the Asia Pacific University College of Technology & Innovation (UCTI) in 2004, APU’s sound approach to nurturing school leavers into qualified professionals has resulted in our graduates being highly sought after by employers. With an international student community from more than 110 countries studying in its Malaysian campus, APU offers a truly cosmopolitan learning environment which prepares students well for the global challenges which lie ahead. While Technology forms a common core as an enabler across its academic programmes, APU offers a broad range of programmes encompassing areas such as Computing, Technology and Engineering, as well as programs in Business, Accounting and Banking & Finance. The Asia Pacific Language Centre (APLC) is the specialized Language Centre of The Asia Pacific University of Technology & Innovation (APU) and the APIIT Education Group, located in Kuala Lumpur, Malaysia. Asia Pacific Language Centre (APLC) is the amongst a few 5-Star Language Centre as awarded by Ministry of Education in KL and part of APIIT Education Group. APLC offers a wide range of quality English language courses which are specifically designed to improve English in a warm, friendly and professional learning environment. APLC is also a British Council authorised Testing Centre for IELTS. We offer English language intensive study & holiday packages as well as programmes which are customized to address specific needs of our clients. The Language Centre also regularly organizes exciting social programmes to enhance the overall student learning experience and provide students with a fantastic Malaysian experience in Kuala Lumpur. More than 1200 Students attend APLC to enhance their English each year. As Institutions within the APIIT Education Group, APLC & APU offer a truly cosmopolitan learning environment which prepares students well for the global challenges which lie ahead. APU offers a wide range of degrees with Technology as a common core. It is APU’s aim to nurture and encourage innovation through our programmes, with the intention of producing individuals who will learn, adapt and think differently in new and better ways. In this regard the Asia Pacific Language Centre plays an important role in preparing students with the right level of language and professional skills which they require in order to achieve success as they eventually progress into their academic studies at APU. The Asia Pacific Schools, as integral developments within the APIIT Education Group, offer both the National and International Curricula, through the Asia Pacific Smart School (APSS) and Asia Pacific International School (APIS), respectively. In March 2011, The APIIT Education Group received the prestigious Prime Minister’s Industry Excellence Award from the Prime Minister of Malaysia. Only one organization was selected to receive the Prime Minister’s Industry Excellence Award from among nearly 30 other award recipients in 8 different categories. 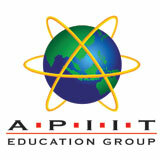 APIIT Education Group was also awarded Export Excellence Award (Services).